There are only 9 weeks to go until Christmas. Sorry, we had to mention it! Are you ready? Are you one of those super organised people with mince pies already stockpiled and presents already wrapped? Or are you more likely to be racing around on Christmas Eve looking for last minute gifts? And how is your money situation? How are you going to afford Christmas this year? Well, you could get a little help by exchanging foreign coins. You might be surprised how much those old discarded and dusty coins could be worth. Many of our very happy customers are often shocked when we give them their valuation. They had no idea that their leftover currency could become such a windfall. Exchanging foreign coins is just one way to make money this Christmas and Cash4Coins is the place to do it. Okay, well it might be a little late to start or join a Christmas club now, but why not get a head start on Christmas 2014? Did you know that by putting away just £5 a week you could have enough to cover presents, Christmas dinner and a few festive nights out. By cutting back on a couple of coffees during the week, taking a little overtime or cashing in your coins with Cash4Coins, you could be quids in next Christmas. Get Down The Car Booty! Every Sunday, in the early hours of the morning, thousands of people collect together old clothes, ornaments, second hand toys and other bits and pieces ready to make a killing at car boot sales up and down the country. As the saying goes “one man’s rubbish is another man’s treasure” and that saying is very true when it comes to the traditional car boot sale. You’ll be amazed how much the things you have no use more any more can make in time for Christmas. That early morning alarm call will certainly be worth it! We mean it when we say we change any foreign currency. Whether you have a fistful of dollars or a handful of French francs, we will be delighted to count and sort them for you. We will then send you a valuation to consider at your leisure. Think about what a few pounds could do to make Christmas easier. And if you are planning a foreign holiday, we can change your coins and banknotes into the currency of your choice. It’s easy to send us your coins and our team is ready to accept them right now. There are many companies offering hostess gifts simply for holding a party at your home. These parties involve selling the company’s products to your friends and family and making commission from the sales you make. Whilst cash isn’t usually one of the incentives on offer, you might be able to use your commission points to put towards gifts for loved ones. Pampered Chef, Ann Summers and Avon are just some of the companies offering excellent commission incentives right now. 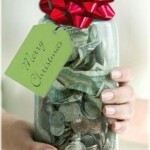 With Christmas just around the corner, it makes sense to start thinking about raising that extra cash now. Cash4Coins is a great method of exchanging foreign coins and we can get the money into your bank account very quickly. Speak to our friendly team today to find out how you can have a festive season full of cheer and less financial worry!